Baldwin Law Group practices employee benefits law at the highest level, representing benefit plans and plan sponsors. Marika Ostendorf and John Baldwin have more than 70 years of combined, concentrated experience with matters involving ERISA. 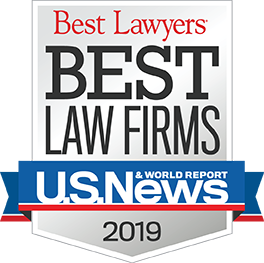 The Baldwin Law Group (BLG) is listed in “Best Law Firms” under employee benefits law, a recognition that began in 2010. A specialist in the field of employee benefits law, Marika Ostendorf is AV rated* and has been included in The Best Lawyers in America every year since 2006. Her clients include one of the largest foundations in the United States, large multi-national corporations, and numerous healthcare systems. She routinely advises employers on matters of deferred compensation for executives. Marika has been listed among the “Maryland Super Lawyers” in the field of employee benefits. John Baldwin spent 17 years as managing partner/chairman of a large firm based in Baltimore and has represented employee benefit plans and plan sponsors since the enactment of ERISA in 1974. He also has over 40 years of experience with estate and trust matters, and served as sole personal representative of an estate with diverse assets exceeding $115 million. He has been AV rated* for over 30 years, and serves as trustee of numerous substantial trusts. When clients work with BLG, they understand at the outset that they will be working with an attorney who has little or no “learning curve.” BLG attorneys understand how to be efficient and practical, with the result that clients receive significant value in the resolution of legal matters. Clients gain a highly experienced attorney that is efficient and practical, and who ensures clients receive significant value in the resolution of legal matters. In the view expressed by one client, they “have not missed a beat,” since opening for business in April 2006. * “AV” is a registered certification mark used with the Martindale-Hubbell certification procedures, standards and policies.